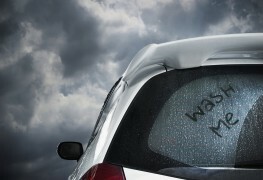 It’s a good idea to repair that small ding in your windshield before it grows and requires complete auto-glass replacement. Here’s how the repair process works. 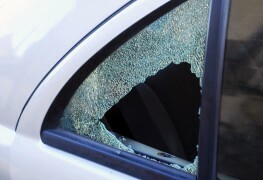 Imagine driving down the highway, and a stone flies up and cracks your car windshield, leaving a chip small as a pea. It’s annoying but it’s not interfering with your vision. So you’ll leave it for now and deal with the problem later. Left untreated, that small chip can grow. What may have been a small auto glass repair of less than $100 could become major damage that will require windshield replacement, costing hundreds of dollars. Not only can you save money with the timely repair but you have the added bonus of keeping your original glass with factory seal. 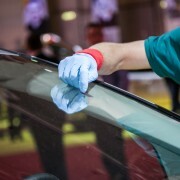 The line between windshield repair and windshield replacement is a fine one. Some auto glass professionals say if the crack can be covered by a five-dollar bill and a chip by a credit card, they are repairable. Others claim a chip should be no bigger than a quarter. A long crack often requires a replacement windshield, but there are auto-glass shops out there that specialize in repairs of larger damage, so you’re best to go into a shop or garage and get things checked out. 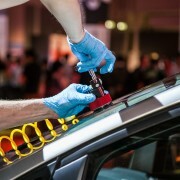 After cleaning the area around the break and clearing away glass pieces, an auto glass technician will drill a hole into the glass to better allow the flow of resin between the two layers of glass that make up the windshield. Next, they'lll attach an injector tool directly to the glass, and resin will seal the crack or chip and ensure that water and other debris can’t get in between the layers of the window to undermine its integrity. Once injected, the resin is cured and polished to return clarity and strength to the glass. 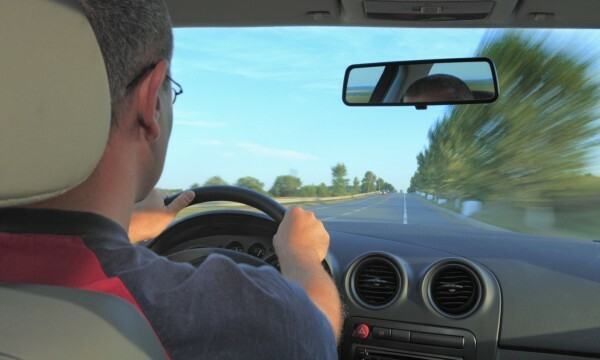 Providing that the auto-glass shop has a spot open for you, you should be in and out in less than an hour, sometimes in as little as 30 minutes. The repair will make the chip or crack much less noticeable but there will still be a visible flaw. In most cases this will be okay, but if the flaw is right in front of your line of vision, it may bug you enough that you eventually opt for replacement. Yes. There are a variety of off-the-shelf windshield repair kits to choose from, available from your auto parts and accessories stores. The kits come with everything you need to repair the minor damage, including resin and injector.